How to choose fiber optic test instruments – Nanjing Fiberlink Communication Technology Co., Ltd.
We often use fiber optic test table containing: a stable light source, power meter, optical time domain reflectometer the instrument (OTDR), optical multimeter and optical fault locator. Optical Power Meter: used to measure absolute optical power or the relative length of optical fiber optical power loss.Measuring optical power in the fiber-optic system, is the most basic.Very much like the electronics multimeter, optical fiber measurement, Optical Power Meter is a heavy-duty commonly used table, should staff a fiber optic technicians.Through the measurement of the absolute power of the transmitting end optical network, a power meter to be able to evaluate the performance of the light end equipment.With a power meter and stabilized light source used in combination, it is possible to measure the connection loss, test continuity and help evaluate the transmission quality of fiber link. Stable light source: known power and wavelength of the light emitted optical system.The stabilized light source together, and the power meter can measure the optical loss of the optical fiber system.Of off-the-shelf optical fiber system, usually the transmitting end of the system machine as a stable light source.If the end of the machine does not work or does not end machine, you need to separate stable light source.The stability of the wavelength of the light source should be as consistent as possible with the wavelength of the system end machine.After installation of the system, often need to measure the end-to-end loss, in order to determine whether the connection loss to meet the design requirements, such as: measuring connectors, splices point loss, and optical fiber body loss. The three main transmission window of the operating wavelength (nm) to 850nm, 1300nm and 1550nm. The type of light source (LED or laser): In the short-distance applications, due to economic and practical reasons, the majority of low-speed local area network LAN (<100Mbs) typically use the LED light source.Most of the high-speed system> 100Mbs laser light source, long-distance transmission signal. Types of optical fibers (singlemode / multimode) as well as core / coating diameter (um): standard single-mode fiber (SM) 9/125um, despite some other special single-mode fiber should be carefully identified.A typical multi-mode fiber (MM), including 50/125, 62.5/125, 100/140 and 200/230 UM. Connector type: domestic common connector comprising: FC-PC, FC-APC, SC-PC, SC-APC, ST, etc..Latest connector: LC MU, MT-RJ, etc. Loss estimate / system tolerance. A separate power meter and a stable light source. Second, the power meter and a stable light source combined into one integrated test system. In short-distance local area network (LAN), the endpoint distance walk or talk, and technical personnel in any one end of the successful use of economic combination of optical multimeter, one end to the other end of the stable light source using the power meter.System of long-distance network, the technical staff should be at each end of the complete portfolio of equipment or integrated optical multimeter. An understanding of the characteristics of the cable (length and attenuation), before being laid. Second, to obtain the waveform of the the signal trajectory line of the length of optical fiber. Third, the problems increase and worsening of connection, positioning serious point of failure. Fault Locator (FaultLocator) is a special version of the OTDR fault locator can automatically find fiber failures not need OTDR complex steps, its price is also just OTDR fraction of the. A built-in battery position should be easy for the user to replace. Second, the minimum working hours of the new batteries or fully charged battery up to 10 hours (one working day).However, the target value of the battery operating life should be 40 to 50 hours (one week) or more, in order to ensure the best efficiency of the technical personnel and equipment. Third, use the model of the battery is the more ordinary the better, such as universal 9V or 1.5V on the 5th dry batteries, because these generic batteries very easy place to find or purchased. Ordinary batteries better than rechargeable batteries (such as: lead – acid, nickel-cadmium batteries), because most of the rechargeable battery “memory” issues, the packaging is not the standard, is not readily available, the environmental issues. Previously, to find the portable test equipment is almost impossible to meet all of the above four criteria.Now, using the most modern CMOS circuit manufacturing technology artistic power meter, only the 5th general dry batteries (widely available), you can work more than 100 hours.Some laboratory models provide dual power (AC and internal battery) to increase its adaptability. Like mobile phones, fiber optic test instrument also has the form of a number of the appearance of the packaging.Generally do not have many of the trappings of less than 1.5 kg handheld table provides only basic functionality and performance; semi-portable instruments (greater than 1.5 kg) usually have a more complex or extended functionality; laboratory instrument is designed for control laboratory /production situations designed with the AC power supply. Comparative performance elements: Here is the third step of selecting step, including a detailed analysis of each optical test equipment. For any manufacturing of optical fiber transmission system, installation, operation and maintenance of optical power measurement is essential.The field of optical fiber, optical power meter, any engineering, laboratory, manufacturing floor or telephone maintenance facilities are unable to work.Example: Optical Power Meter can be used for measuring the output power of the laser light source and the LED light source; used to confirm the estimate of the loss of the optical fiber link; most important of which is that it is a test optical components (fiber, connectors, connecting sub, attenuatorkey performance indicators, etc.) instrument. Second, the calibration accuracy and Evaluation the manufacturing calibration procedures, and the required range of optical fiber and connector match. Third, to determine if the model is consistent with the measurement range and display resolution. With dB insertion loss measurements directly. Almost in all the performance of the power meter, the optical probe is a member of the most should be carefully selected.The optical probe is a solid state photodiode, it receive the coupled light from the optical fiber network, and is converted to electrical signals.Can use a dedicated connector interface (only for one type of connection) is input to the probe, or with a generic interface UCI that (using the threaded connection) adapter.The UCI can accept most industry standard connectors.Calibration factor based on a selected wavelength, the optical power meter circuit the probe output signal is converted to optical power readings are displayed in dBm (absolute dB equals 1mW, 0dBm = 1mW) on the screen.Figure One is a block diagram of an optical power meter. The Select optical power meter is the most important standard is the operating wavelength range of the optical probe type and expected match.The following table summarizes the basic choice.Is worth mentioning that, while measurements, InGaAs in three transmission window has good performance, compared with germanium InGaAs having a more flat spectral characteristics in all three windows, a higher accuracy in the 1550nm window, but also has excellent temperature stability and low noise characteristics. Optical power measurement is the manufacture, installation, operation and maintenance of an essential part of any optical fiber transmission system. The next factor is closely related to the accuracy of the calibration.Power meter in a manner consistent with your application calibrated? : Performance standards for fiber and connector system consistent with the requirements.Should analyze what causes the different measurement values are unsure of the connection adapter? Fully consider other potential error factor is very important, but from different manufacturers, although NIST (U.S. National Institute of Standards and Technology), American Standardsimilar to the light source, the light probe type, the frequency spectrum of the connector is uncertain. The third step is to determine the power meter models meet the measurement range needs.Expressed in dBm measurement range (range) is a comprehensive parameters, including the identification of the minimum / maximum range of the input signal (optical power meter can guarantee all accuracy, linearity (BELLCORE +0.8 dB) and resolution (usually 0.1dBor 0.01 dB) to meet the application requirements. The most important selection criteria of the power meter optical probe type matches the expected scope of work. Fourth, most of the optical power meter includes the dB function (relative power), to directly read the optical loss in the measurement is very practical.Low-cost power meter usually do not provide this feature.DB function, the technicians must separate note of the reference value and the measured value, and then calculate the difference.DB functionality to the user relative loss measurements, and thus increase productivity, reduce manual calculation errors. Now, the user the choice of optical power meter has the basic features and functions has been reduced, but some users to consider the special needs —-: computer acquisition data record, external interface. A same wavelength, and uses the same type of light (LED, laser). Second, during the measurement, the stability of the output power and spectral (time and temperature stability). 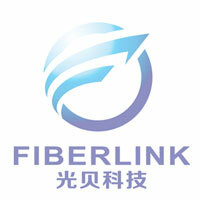 Third, to provide the same connection interface, and using the same type of optical fiber. Fourth, the size of the output power to meet the worst-case system loss measurements. A laser tube (LD) light emitted from the LD, a narrow wavelength bandwidth, almost monochromatic, i.e. a single wavelength.Compared with the LED, through its spectral band (less than 5nm) the laser is not continuous, and on both sides of the center wavelength, but also the emission the several lower peak explants wavelength.Compared to the LED light source, laser source provides more power, but the price is higher than the LED.Laser tube commonly used in the loss of more than 10dB of long-haul single-mode system.Should avoid measuring multimode fiber with laser light source. The LED has a wider spectrum than the LD, usually ranges from 50 to 200 nm.In addition, LED light non-interference light, and thus the output power is more stable.LED light source is cheaper than the LD light source is more, but the worst-case loss measurement appears to lack power.LED light source Typical applications are in the short-distance network and multi-mode fiber local area network LAN.LED laser light source singlemode system can be used for accurate loss measurement, but the prerequisite is required to output enough power. Optical power meter and a stable light source together are called optical multimeter.Optical multimeter used to measure the optical power loss of the optical fiber link.These instruments can be two separate instruments, it may be a single integrated unit.In short, the two types of optical multimeter has the same measurement accuracy.The difference is usually cost and performance.Integrated optical multimeter mature, usually function with a variety of performance but the price is higher. From a technical point of view to evaluate various optical multimeter configuration, basic optical power meter and a stable light source standard still applies.Attention to the selection of the correct type of light source, the operating wavelength, optical power meter, probe, and dynamic range. The fault locator Most handheld instrument suitable for multimode and single-mode fiber systems.The use of OTDR (Optical Time Domain Reflectometer) technology for fiber fault point location, most of the test distance in less than 20 km.Instrument directly to the digital display the distance to the point of failure. : Wide Area Network (WAN), the 20-km range communication systems, fiber-to-roadside (FTTC), single-mode and multi-mode fiber optic cable installation and maintenance, and military systems.Single-mode and multi-mode fiber optic cable system, it is necessary to locate the connector failure, bad splices, fault locator is an excellent tool.The Fault Locator simple just a one-button operation, multiple events can be detected up to seven. Confirm the operating wavelength, fiber type and connector interface. Second, the expected loss of the connection and the need to scan the range.